I grew up listening to Bowie's music and found myself in the days following his death turning back to those old, familiar songs. I think that many others had the same idea. It seemed that everywhere I went, I would hear Bowie's music. I think we all needed to hear his voice again. Like so many others, I was saddened to learn about the death of David Bowie. When we lose someone, it makes you realize how much you value that voice until it's gone. Although a private man who preferred to let his music speak for itself, Bowie had a huge impact on fashion, culture, society and, of course, music. Here's just a few of my favourite Bowie songs and lyrics. Many of these songs were written more than 40 years ago, but it's amazing how the melodies and words are still relevant today. She's not sure if you're a boy or a girl." Long before we started talking about gender identity, transsexual and transgender issues, Bowie experimented with his stage personas and was often noted for his androgynous, glam rock looks. He seemed to comfortably bridge and blend the gap between male and female, no doubt inspiring many people to accept and even celebrate their uniqueness. Co-written in Berlin with Brian Eno, Bowie performed the song in 1987 at the Berlin Wall with thousands of fans listening on the east and west side of the wall. He said it was one of the most emotional performances he'd ever done and is attributed as being a catalyst for the eventual tearing down of the Berlin Wall. 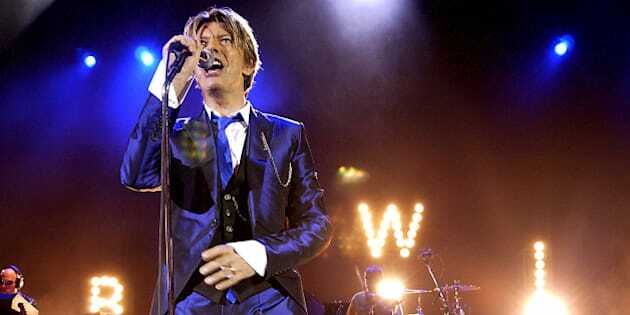 In another equally emotional performance, Bowie performed the song at the benefit concert, The Concert for New York City, mere weeks after the September 11 attacks. "Heroes" has become an anthem for healing and hope and is a song I often go to when I need inspiration. Changes are taking the pace I'm going through." I love this song, speaking to Bowie's unapologetic willingness to experiment with musical and fashion styles. He was the king of reinvention and inspires us to not be afraid to take chances and make changes in our lives. These are just three songs from an impressive career that spanned 50 years and 26 albums. Trying to define his impact on music, I think Bowie said it best in the song "Young Americans." "Ain't there one damn song that can make me break down and cry?" You said it. Music taps into our emotional core. When we learned of your passing, you did make us cry, Mr. Bowie. But your music also softened our grief and reminded us of the huge catalogue of great music you left. Your songs will continue to break down barriers and influence and shape us. What's your favourite Bowie song or lyric? Tweet me @NatashaNKPR or comment below!